That’s right, in my house we have Bath Day. A day assigned to bathing. The New York Times backs me up on this. The other week they ran an article entitled “The Great Unwashed” reporting on relatively normal people who choose not to bathe, shampoo or deodorize daily. But this is nothing new in my household. My kids are way ahead of that trend. My kids opt out not for any strongly held philosophical or environmental reasons as is true of some of the subjects in the article. My kids’ motives are really quite simple. They like filth. Or, rather, they prefer grime to the effort required to wash it off. I’m sure I’m not alone in this unfortunate situation, but I may be alone in my enforcement of bath time. I’m not militant about it. When my daughter was a terrible toddler and I was in the trenches fighting her on myriad issues, I just couldn’t take on one more. Now, with karate, girl scouts, boy scouts, homework, work work, dinner, dirty dishes and laundry some days there just isn’t enough time. Early on to avoid protests and put down revolts I had to institute a bathing routine and appoint actual Bath Days. I picked Wednesdays and Saturdays. While I was aware this was a substandard hygiene routine, it was the only way I could devise to minimize conflict and keep them somewhat clean. At the mention of bath they’d still complain, “We just took a bath,” to which, I’d reply, “That was three days ago.” They’d slink toward the bathroom moaning, “Why do we have to take another bath?” I would happily sing, “Because it’s Bath Day.” And that would end it. They couldn’t argue with that. I choose the days based on a carefully considered set of criteria: their number of public appearances and how long they could go before they would cause a public health crisis. I figured with a bath on Saturday they’d start off the school week fine. Monday they’d still be fairly fresh. Tuesday they’d be a bit tattered. By Wednesday their hair would be greasy and matted and their upper lip and chin stained red with Hi-C, but, hey, it was Bath Day. Thursday was their purest day of the week, and Friday was just one more day before Bath Day. We had been practicing questionable hygiene for years before the topic arose in a conversation with my best girlfriend. It was just after she had her first child, but before she had to face the million and one demands a tiny person can place on you. 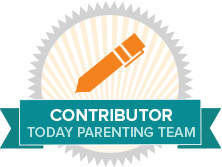 As a new mom, she did what all first timers are prone to do – she compared parenting notes with other moms and judged. After a day with another novice mom, she relayed to me her horror upon finding her friend only bathed her child once a week. “I don’t know,” I concurred, neglecting to tell her about the system I’d developed. As a veteran mom I knew she would soon discover the endless responsibilities of parenting and realize she, too, must take some short cuts. I’ll admit the system isn’t perfect, but it works. The only time I run into a problem is when I have to change Bath Day due to scheduling conflicts. This completely confuses my kids. They just don’t get it. If it’s not Bath Day they don’t need a bath. It doesn’t matter that actual Bath Day has to be cancelled. They cannot comprehend why bathing is required at all, let alone necessary. I have to justify the switch in days and coax them into the tub. I only hope that in time they will come to see bathing not as an evil burden on their lives but as a beneficial act, maybe even a pleasant one. For now my kids are still on the twice weekly regimen, although I have considered upping it. But according to The Times I shouldn’t. Slovenliness might be healthier. That’s right. My filthy kids prove I’m a good mom. The funny thing is after all those years of convincing, cajoling and arguing, my kids actually seem to like baths. When they finally get in, they don’t want to come out. It seems, what they really like is fighting me on it. This post originally appeared in BaristKids.com. Honesty. Love it. I never enforced daily baths either. Once they hit pre-teen/teen stage they’ll figure out the importance. My college daughter is so busy that she’s adapted the every other day motto is just fine. My high school son showers every day. My ten year old? I’m lucky if I get her to shower 3x a week. Yesterday I told her she smelled stinky & sweaty like her brother and she willingly took a shower! LOL But, I do know plenty of moms who would be horrified. I know one mom who will come home late from somewhere with children fast asleep in the car and she will wake them up and make them shower before they go to bed! I think THAT’S crazy! Yes, that is a little extreme. The funny thing is if you met me, I’m a total neat freak so this method doesn’t exactly fit w/ my personality. I felt they should bathe more. I just didn’t have the energy to enforce it. But if you look at Europe or probably most countries around the world, they don’t bathe everyday. It’s just the American way: More is more. Of course, now w/ my kids a bit older, they do stink & I make them bathe every other day. If it’s good enough for the French….I’ll happily abdicate that battle. My daughter (7) has gymnastics on Mon/Wed so I try to force bathing those two mornings. She only takes showers so much easier. Other days are a crap shoot. For my son (9) he showers Tues/Thurs mornings. Glad to see I’m not the only one upping their kids resistance to germs. Like Molley said, If it’s good enough for the French it’s good enough for me. Oh, I know that. Now I have them bathing every other day & it’s still pulling teeth. All cotton socks (or nearly all cotton b/c it’s hard to find all cotton socks) help A LOT.